Maker March was created to help bridge the gap between the snowy, slushy days of February and the wash it clean rains of April. Which of course can only lead to May flowers and all that good stuff. At any rate, to celebrate Maker March, DK Books has sent me three different books to review and tell you about. Spoiler alert: I’ll be giving away one of them as well. Stay tuned for details (or just hop on down to the end of this post). First up, Video Ideas. It seems like everyone dreams of making their fortune as a YouTube sensation. A quick perusal through there shows me that most of them should keep their day jobs. I am all for kids earning their own money in whatever safe and legal way they can. When properly supervised, videos can do just that. Or, they can just be used to keep your kids occupied and not mindlessly staring at someone else’s videos. 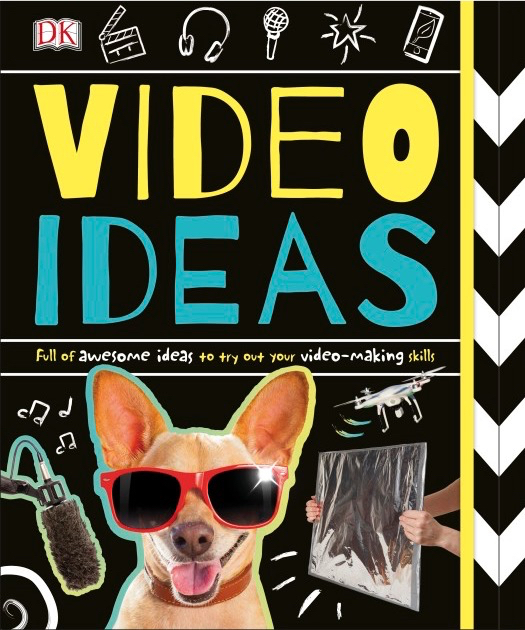 Video Ideas walks would-be videographers through every aspect of producing a top notch piece of work. Filming angles, choosing a genre, collecting props, and even online safety. Given the current weather conditions, Smithsonian Maker Lab Outdoors might seem a little preliminary. But warm weather and summer always come. Be like the the Boy Scouts and always be prepared. This book is packed with over two dozen outdoor projects. All of them take very common household items or things a quick trip to the dollar store will help you find. Your young scientist will find instructions to make ice cream and geodes, thermometers and air cannons. This last book is for me. And maybe my girl. But mostly me. 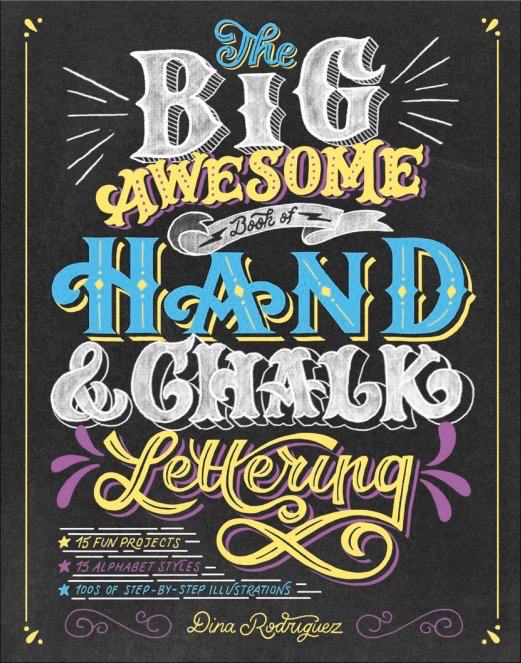 It’s The Big Awesome Book of Hand & Chalk Lettering. Ever look at those pretty chalk signs in restaurants and trendy stores and think ‘gee, wish I could do that?’ I do, but long ago resigned myself to my sixth grade axe murderer hand writing. I am so glad penmanship was not graded when I was a kid. Hand & Chalk Lettering literally takes you back to basic printing and, step by step, carries you through to beautiful hand printed signs in a variety of mediums. My grocery list will never be the same again. 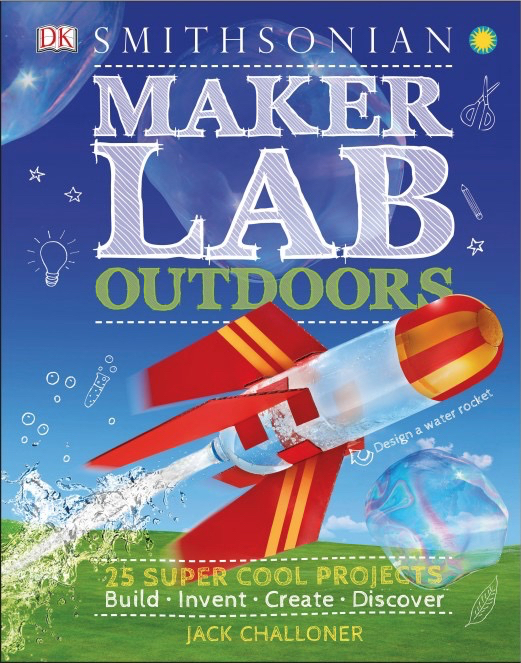 One of my lucky Canadian readers has the chance to win a copy of Smithsonian Maker Lab Outdoors. Enter using the Rafflecopter form below. Odds of winning will depend on the number of eligible entries received. Not responsible for lost or misdirected entries. Prize has no cash value. Approximate retail value is $26. Contest closes April 12, 2018 11:59 pm ET Good luck! 41 Responses to "Maker March with DK Books #Giveaway"
Well whatever Willie said...lol I think it was 6 more weeks. i never listen to him anyways!! He said six more weeks of winter. Not true though. We had six weeks more of winter. Six more weeks of winter! I am a bit sick of winter and need spring to arrive now! Six more weeks of winter ... I think it is the truth. I have no idea since I do not rely on rodents for my weather reports. six more weeks of winter and it was true. It cold outside and we just got 6 inch of snow. I have to say I have no idea what the groundhog said! But it is pretty darn nice. Wiarton Willie saw his shadow, so forecasted 6 more weeks of winter. I have no idea -- either way, there is lots more winter left! I think our groundhog said 6 more months of winter and he was right! The groundhog is ALWAYS afraid of his shadow... and I don't blame him. Rain rain cold cold... still waiting for spring!!! He said six more weeks of winter. He said we would be having six more weeks of winter and oh, my he is was very correct. The groundhog said there would be more winter and it was so for several days but then we started to get these nice days here and there and now I think spring is finally here. He said an early spring but I think he lied! He said long winter & it is actually true, I forgot how spring looks like! He said it is going to be 6 more weeks of winter and he was right! Six more weeks of winter - and it's been true so far! He said there would be an early Spring but I think he was being optimistic. He said six more weeks of winter and he's been about half-right! I do not recall what he/she said - but it has been a longer winter for us with snow coming later this week again. He said we'd have an early spring - but I think he may have been drunk. He said that we would have an extended winter and he was so right! I honestly can't remember but it snowed here on Saturday! He said more winter, and it looks like it is true! I live in San Diego soooooooo, yeah, we really don't do Ground Hog foreshadowing (pun intended). We base our weather off of El Nino or La Nina, which stays true. Winters are easily 90° here.